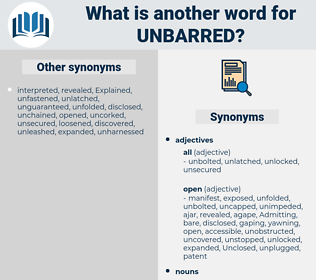 What is another word for unbarred? cover, bury, exclude, hide, hinder, block. 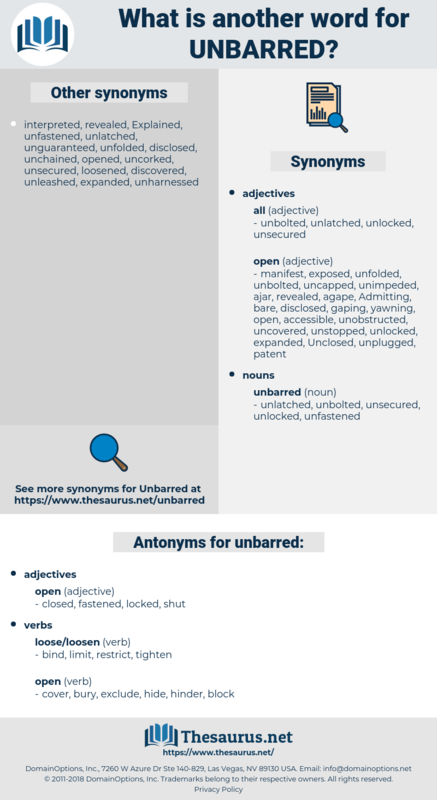 Both anxious and delighted, the girl ran downstairs and unbarred the door. She came to the postern - gate, and unbarred it, and went out through the streets of Beaucaire, keeping always on the shadowy side, for the moon was shining right clear, and so wandered she till she came to the tower where her lover lay.